Double click on the videos to get full screen! 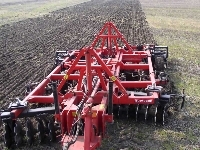 The QUIVOGNE TINEMASTER has been designed to maximise work whilst using the minimum cultivation idea. The TINEMASTER incorporates QUIVOGNE'S proven 'X' shape disc formation with tines, which are designed to penetrate and break up the field's pan. This pan breaking enables the percolation and through-flow to be more efficient and so will reduce the chances of waterlogging. The folding frame of the TINEMASTER is based on the QUIVOGNE APX-RS frame while the rigid TINEMASTER is based on the QUIVOGNE MULTITRAIN. 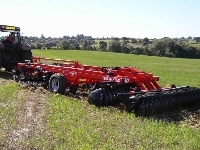 As with all of the QUIVOGNE disc harrows, the disc spacing of all TINEMASTERS are 230mm with disc diameter being 660mm and 7mm thick as standard thus causing up to 160kg pressure per disc in work. This all means the TINEMASTER leaves small clods, but more importantly requires less horsepower than other leading manufacturers for the same working width. The depth of the discs are set the same way as all of the QUIVOGNE disc harrows, by way of their unique depth control valve. The tine set up is in a 'V' formation and the amount of tines depends on your personal horsepower capabilities. For example the 3.00m machine can have either 3 or 5 tines. 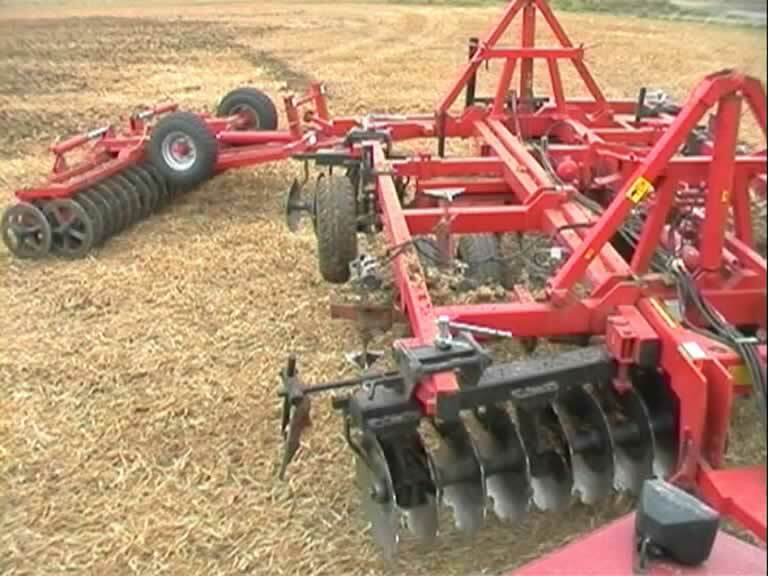 The auto-reset tines are set up with the use of an accumulator creating an individual spring back effect. 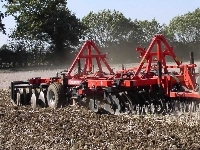 The accumulator can be set at various levels so as to suit your land. If the field you're in has rocks or tree roots, the accumulator can be set so as when a tine hits an object, it will fall back and ride over it. Once past the object, the pressure build up in the accumulator causes the tines to spring back into working position. The tines can also be raised and lowered directly by the driver by using the spool valves in the cab whilst working. 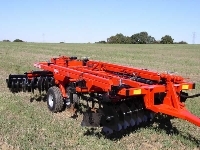 The tines are fully adjustable and can be set up to 9inches below that of the disc depth. The legs are 30mm wide and are made from Hardox 500 steel. The foot is the main wearing part of the set up and is easily and cheaply replaced. The 'foot' of the tine is 15mm wide and angled slightly so as to lift the land. The tips are weld on and obviously take the brunt of the wearing. When the points become worn, they can be cut off and replacement tips can be welded on in their place. When the wing becomes worn but the vertical upright of the foot is not, simply cut off the remains of the wing. You then weld a replacement wing complete with tip on in its place.